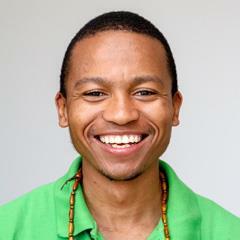 Eliot Moleba is a Johannesburg based playwright, theatre-maker and director. He studied his Dramatic Arts degree at the University of the Witwatersrand. Moleba uses theatre to address relevant social issues affecting young people, especially the relationship between the ‘old’ and ‘new’ South Africa and how the transition affects youth identity. He was recently one of the playwrights in residence for ASSITEJ SA’s Inspiring A Generation programme, currently one of the playwrights in residence with The Royal Court Theatre, London, and an alumni of the Theatre Project with the DO School, Hamburg, Germany.